Christoph Ribbat’s In the Restaurant serves up a fascinating buffet of fare and facts with its panoramic yet intimate look at the enduring concept of serving food to patrons. The book spans centuries and cuisines from the compiled and collective vantages of employees, chefs, sociologists, historians, and critics, and is full of both savory and unsavory details. 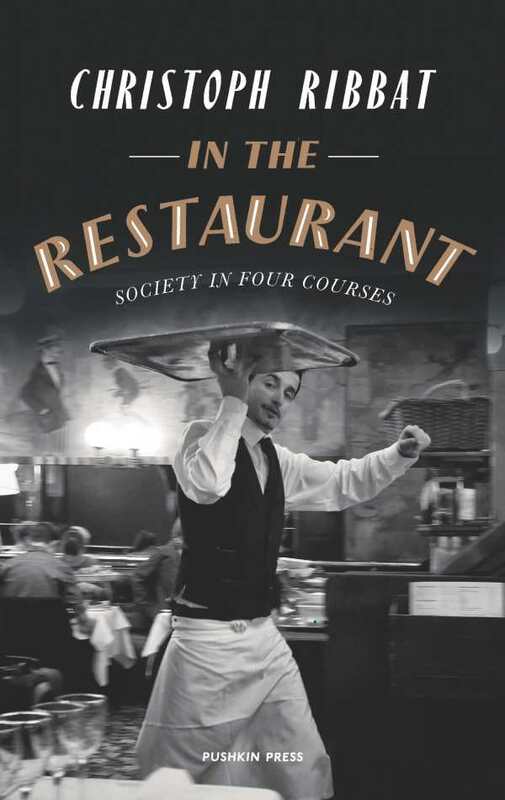 Dining establishments and the meals offered within them evolved along with society, as the book shows. The word restaurant itself came from mid-eighteenth-century Parisian elites’ desire to eat in semiprivate, well-decorated settings where they could restore and renew their delicate constitutions. That particular restaurant experience became quite popular, with patrons enjoying the attention and ambiance offered as much as they did the food itself. Whether a restaurant is elegant and exclusive or vast and serving multitudes, there is (and always has been) a hectic camaraderie of waiters, waitresses, busboys, and cooks working behind the scenes. In the Restaurant champions the cause of underpaid and exploited waitstaff, called an “emotional proletariat” due to the demands placed upon them. Even the chefs of celebrated European hotels frequently endured grueling shifts in hotbox kitchens, suffering from low wages and chronic health problems. In the Restaurant also spotlights the Woolworth’s lunch counter protests of the American civil rights movement and how the simple demands of black patrons to be served equally sparked a revolution. There are familiar references to the foodie world, too, with nods to Anthony Bourdain, Alice Waters, Escoffier, and Jacques Pépin, along with Henri Gault and Christian Millau, founders of the nouvelle cuisine movement. Restaurant critic Gael Greene’s memoirs are also noted, particularly her one-night stand with Elvis Presley and how she remembered what he ate afterward better than the encounter itself. Deliciously diverse, In the Restaurant is a uniquely intellectual and gastronomic experience.